Scarlet's true identity has been revealed, but her future is uncertain. Her forced marriage to Lord Gisbourne threatens Robin and Scarlet's love, and as the royal court descends upon Nottingham for the appointment of a new Sheriff, the people of Nottingham hope that Prince John will appoint their beloved Robin Hood. But Prince John has different plans for Nottingham that revolve around a fateful secret from Scarlet's past even she isn't yet aware of. Forced to participate at court alongside her ruthless husband, Scarlet must bide her time and act the part of a noblewoman-a worthy sacrifice if it means helping Robin's cause and a chance at a future with the man she loves. 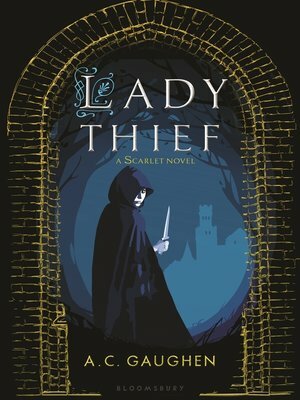 With a fresh line of intrigue and as much passion as ever, the next chapter in Scarlet's tale will have readers talking once again.